A Guest post from Mark Alphenaar on the Regional Archive at Alkmaar. At the Regional Archive Alkmaar in The Netherlands we think that history should be easily accessible to all people, young and old no matter their background. We think we have found a way to do just that by showing people how an event or their city, village or home looked in the past. But not just by showing them old pictures but making a direct link to the present. 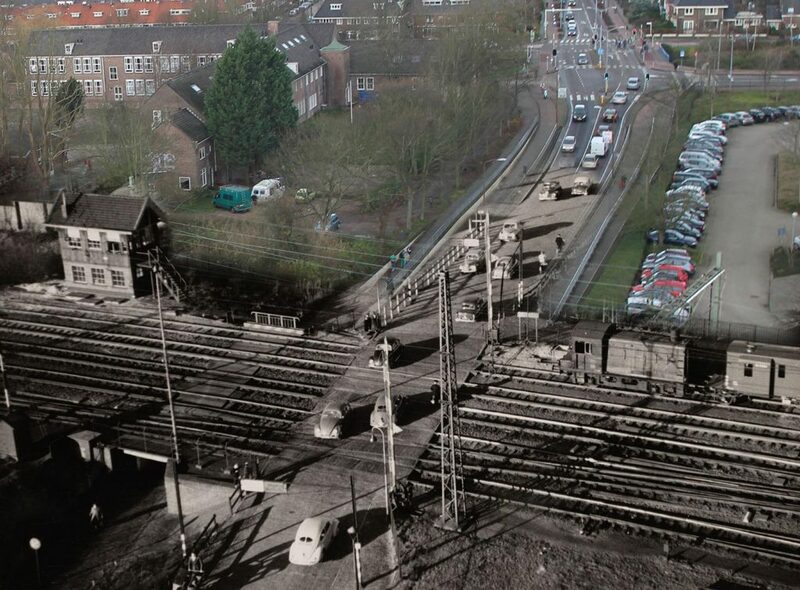 Bergertunnel – Bergerweg in Alkmaar 2012/1954 met nog een spoorwegovergang. 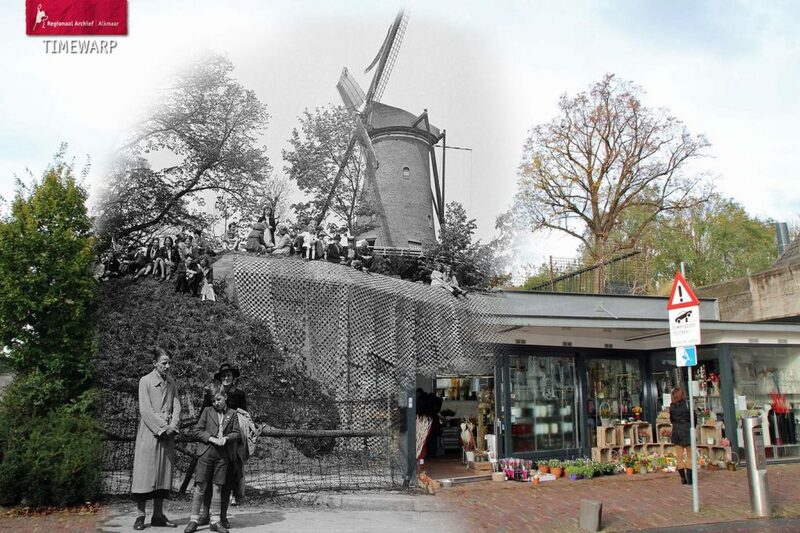 You can place an old en new pictures next to each other but with a little Photoshop work you can make it a lot more interesting. 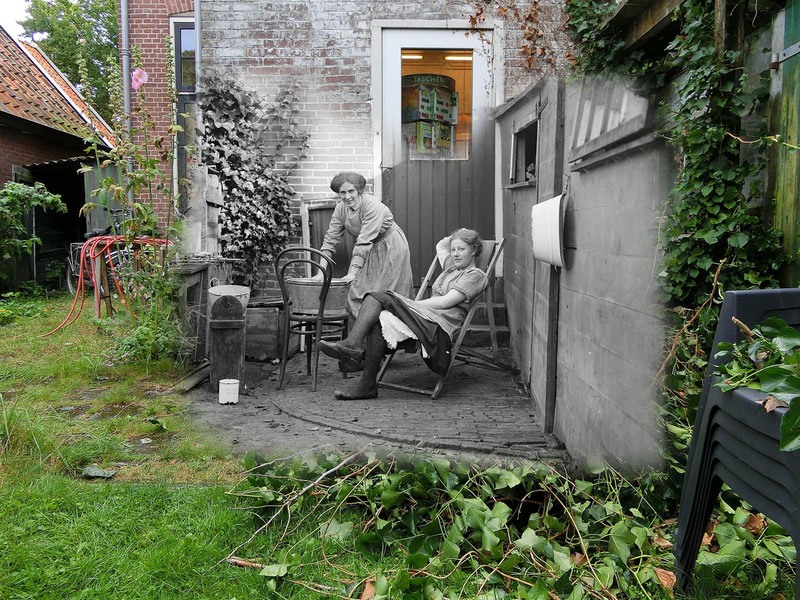 So a couple of years ago we started Photoshopping old and new pictures into each other and calling it ‘timewarps’. Working at an historical archive gives you access to a lot of old pictures (from 1860 to present) and that helps a lot in finding nice pictures. 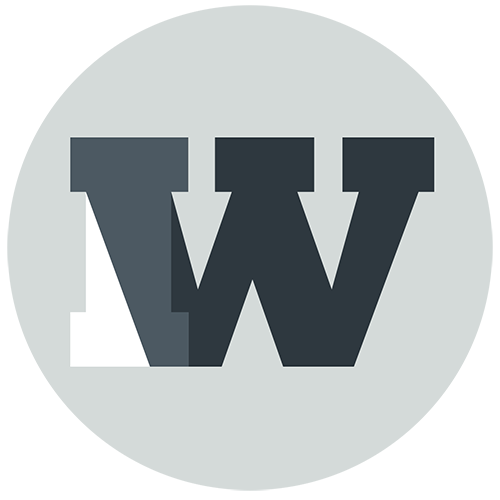 We make timewarps of places people know in Alkmaar and other cities in the province of North Holland. But also certain historical events are made into timewarps like the Second World War. Getting these timewarps to the people we use social media, our website, our blog, expositions and the local newspaper. We even use them for educational purposes when schools visit our archive. Every time we upload a new timewarp we get a lot of likes , shares and nice reactions. It’s a great way to get the past to the people. Also is very useful in getting the name of our archive out there. Not a lot of people used know about the Regionaal Archive Alkmaar but thanks to the timewarps they do now! 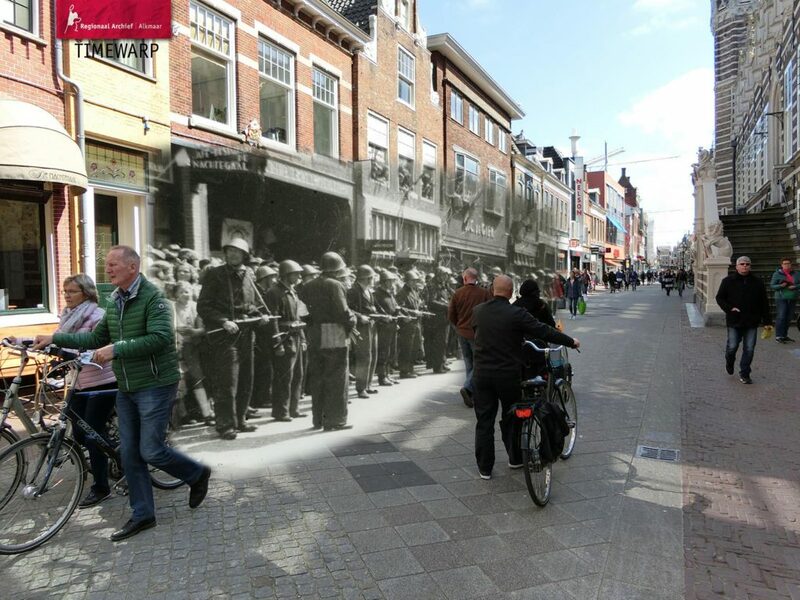 Langestraat 1945-2016 – Defilé in de Langestraat in Alkmaar. Leden van de BS (Binnenlandse Strijdkrachten) stellen zich op voor het stadhuis. Dit als onderdeel van de vele festiviteiten die werden gehouden begin mei 1945. 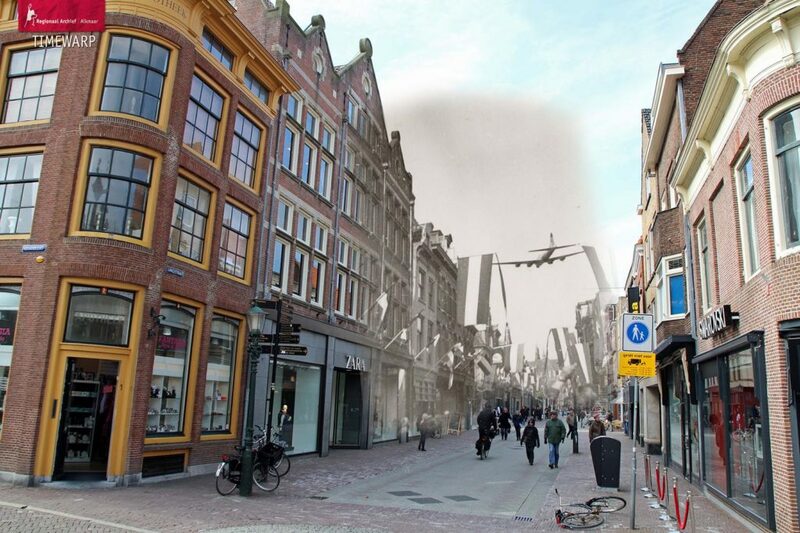 De bevrijding van Alkmaar 1945 – Toen-en-nu montage van de intocht van de Canadezen in Alkmaar. 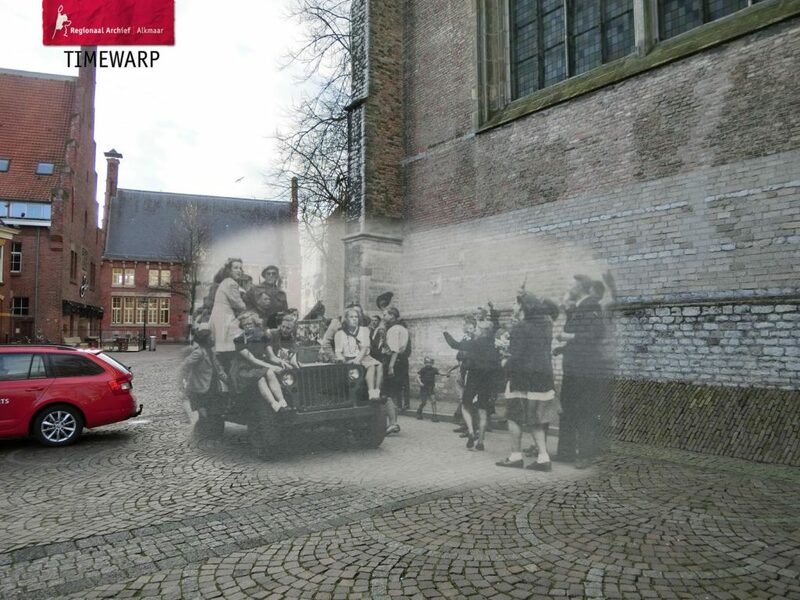 Mei 1945 naast de Grote Kerk. 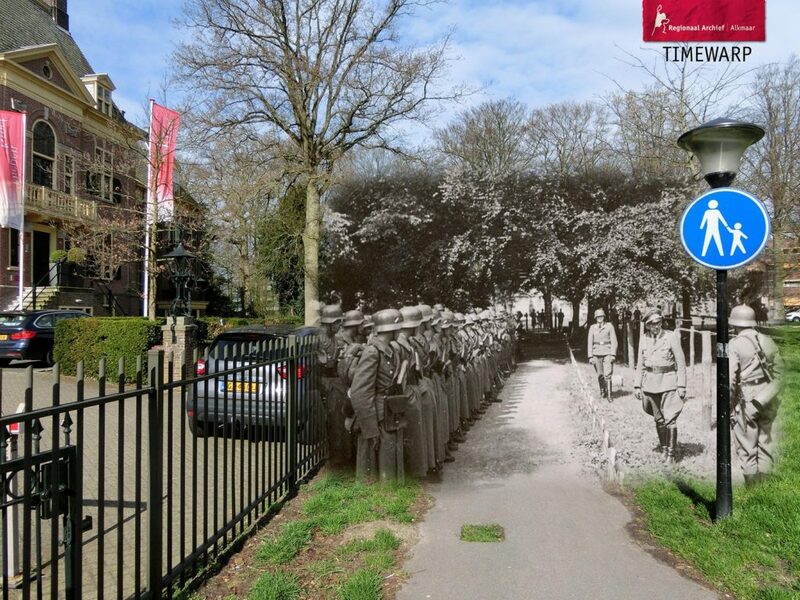 Huize Voorhout 1942-2016 – Tijdens de Duitse bezetting van Alkmaar was Huize Voorhout het hoofdkwartier van de Wehrmacht. You can find a lot of our timewarps on Flickr: General topics and Second World War. Mark Alphenaar, Regional Archive, Alkmaar.